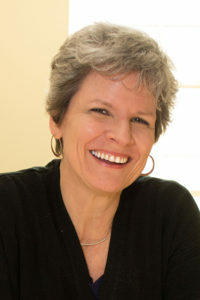 Jill Pable, a Professor from the Department of Interior Architecture and Design, will be presenting at TEDxFSU on April 12th, 2019. In her talk, Professor Pable will discuss how we might leverage built environments to better help the homeless using research-informed ideas from environmental psychology, neuroscience and other areas to create a practice of ‘trauma-informed design’. Pable has traveled across the country observing shelters, supportive housing and other places, gathering ideas both positive and detrimental to residents’ self-identity. This talk will identify six fundamental human needs that have emerged from these visits and associated research and identity tangible, practical ways that architecture and interior design can more effectively help people exit homelessness by supporting their dignity. Over 560,000 people experience homelessness every year in the United States, which is equivalent to the population of Tuscon, Arizona. Becoming homeless is more than just a loss of shelter– it can alter one’s self-identity at a fundamental level for families, the elderly, victims of domestic violence, adolescents and adult men and women. Maintaining dignity and self-esteem may be central to exiting homelessness, helping a person secure a job and stable housing. While many programs in social work and psychology assist persons, the physical environments where people can recover from homelessness such as shelters and transitional housing are often less supportive than they could be, exuding a sense of authoritarianism and extinguishing a needed sense of personal autonomy. The theme for the 2019 TEDxFSU is Question. Defy. Redefine. TEDxFSU is an independently organized program of local, self-organized events that bring people together to share a TED-like experience. At TEDxFSU, TEDTalks video and live speakers will combine to spark deep discussion and connection. I have to say that the whole experience this year has made me especially proud. I wish you could have been with me as the students (a large group from all over campus) talked about how excited they were about Pable’s work. It made me proud of her and her commitment. It made me proud of our College. But it also made me very proud of FSU students — many of them truly care about important issues. And it makes me feel pretty good about the future.